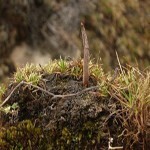 Cordyceps Sinens ‘YARSAGUMBA’ Half Insect and Half Mushroom which grows in the meadows about 3,500 meters (11,483 feet) high altitude in Nepal. A, The Heart, Kidney, Liver, Brain and their blood vessels which are partially or fully effected due to various tenses and other known and unknown illnesses Cordyceps Sinensis or Yarsagumba has strong on smooth muscle tissue which increase the flow of blood and regulate blood pressure which works to care for free radicals, infections and inflammation, and antioxidants for scavenging. B, Cordyceps maximize the uptake of body oxygen. C, Cordyceps boosts the immune system. D, It has strong abilities to strengthen the muscles. E, It smooth and improve kidney and lung function. F, It stimulates collagen and elastin formation in skin and small tissue of face and around eyes. G, It has magic for softens and moistens skin. H, It strengthens blood capillary vessels and flow of blood through every small vessels. I, It has amazing sun screening properties for aging skin with vital forces. J, It controls bladder infection and urinary problem which are noticed and unnoticed. K, It fights respiratory infections and control sugar level. L, It dramatically improves liver function and detoxification. M, It has strong capacity to fight foreign body and skin from harmful influence of the environment. N, It works for skin immunity and enhances and barrier functions. O, It neutralizes most of the inflammatory processes. P, It preciously helps to decreases and prevents from pigment spots and ugly appearances. Q, It has excellent regenerative properties for Anti-Aging. R, It amazingly smoothness contours of expression wrinkles and renovates the natural skin elasticity and cheerily. S, It immunes system, fighting oxidation damage, stimulating protective cells that keep the body free from mutations. T, It controls autoimmune disorders, excessive inflammation and tissue damages. U, It magically increases immunity against viruses and promoting longevity. V, It maintains blood circulation and irregular heartbeats. W, It balances chronic fatigue syndrome and low energy, and on liver, heart and cholesterol disorders. 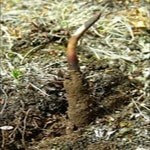 Yarsagumba/Cordyceps Sinensis increases body’s ability to produce adenosine triphosphate (ATP) as per research of Hong Kong University of Science and Technology which is a fuel source used by cells in the body such as jumps, sprints, laugh and walk with the glowing skin and charming and shining face. In the case of particular health problems include pregnancy, the dosages are as per practitioner’s prescription. 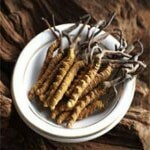 Interested to know more about Yarshagumba/Cordyceps Sinensis with full documents and scientific and medical laboratory reports or other more 35 precious and amazing Himalayan items including Wild Honey, Shilajit, Himalayan Salt, Organic Green Tea from Nepal or want to test for your health please contact to Rajendra Nhisutu or message to us.